The New York Rangers are the most renowned of the three ice hockey teams in New York. 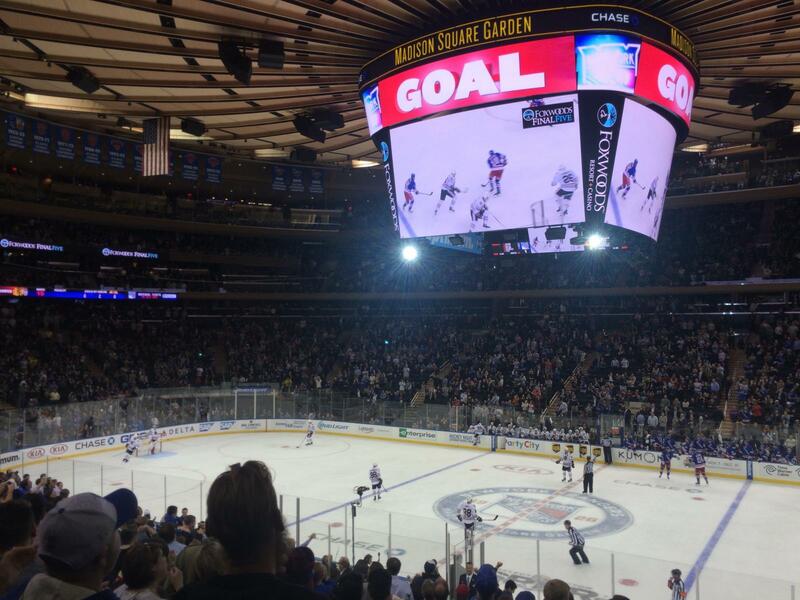 The atmosphere at a Rangers game is unparalleled and home games are played in the heart of Manhattan: Madison Square Garden. 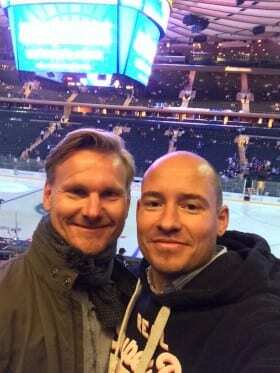 Ice hockey has some of the most loyal and numerous fans of all the sports categories, and you will notice that right away at a Rangers game: a spectacle that is not to be missed! The New York Rangers are THE ice hockey team in New York. In light of their team colors – blue, white, and red – as well as well as Madison Garden’s proximity to Broadway and early players’ reputation of mingling with Broadway stars, they were given the nickname “Broadway Blueshirts”. They are one of the original 6 teams of the National Hockey League (NHL) and make it to the play-offs on a regular basis to contend for hockey’s greatest prize, the Stanley Cup. The New York Rangers are one of only four teams that have been in the NHL since its inception – the 1926/1927 season. 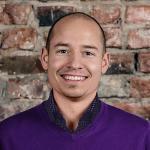 The team was founded in 1926 and immediately got off to a successful start. Within the first seven years (up to the 1932/33 season) the New York Rangers won the Stanley Cup three times and also won two division titles. But after these successes, the team faded into the background. Many times, the former champs were in last place in the league. No big successes were achieved for many years: either the players were too young and inexperienced, or management had a falling out with the coaches. It took 54 years for the New York Rangers to win their next Stanley Cup – in the year 1994. This success was however also followed by a drought in titles. In the last few years, however, the team has stabilized and finally recruited the right mix of experienced leaders and wild, young players. Since 2012, the New York Rangers have added a division title and a conference title to their successes. The Rangers are once again a staple team in the play-offs. Prices for tickets depend on seat category and range from relatively inexpensive to massively expensive. 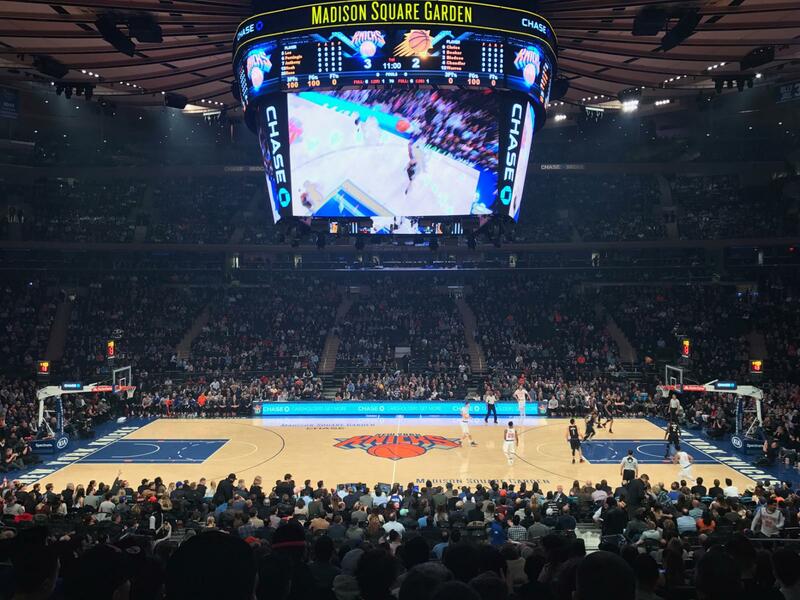 It largely does not matter what ticket you buy – the atmosphere in Madison Square Garden during the games is great and you can experience it from every seat! The cheapest Rangers tickets start at $30 and they can cost up to several thousand dollars (box seats). However, most tickets range between $70 and $200. It all depends on where your seat is located. The location of the stadium in which the Rangers play is ideal: right in the center of beautiful Manhattan! Madison Square Garden is located between 7th and 8th Ave. and 31st to 33rd St. The arena can accommodate 18,200 screaming fans, which guarantees a rowdy evening! Have you ever wondered how it is possible to have a basketball game in the afternoon and then a hockey game later that night in the same arena? During hockey season at Madison Square Garden, the ice rests underneath the basketball court (or stage if applicable), covered with a highly insulating material. Numerous pipes cool the floor of the 17,000 square meter ice rink. Metal oxide is used to get the ice to turn white, and the lines are painted by hand. The ice rink requires the unfathomable sum of 40,000 liters of water! Getting to Madison Square Garden is very easy – either walk or take subway lines , & to Penn Station/34th. Madison Square Garden is located between 7th and 8th Ave. near 31st St. You should not have any difficulties finding your way to the arena – just follow the blue, white and red jerseys! I recommend getting to the stadium one hour before start of the game. 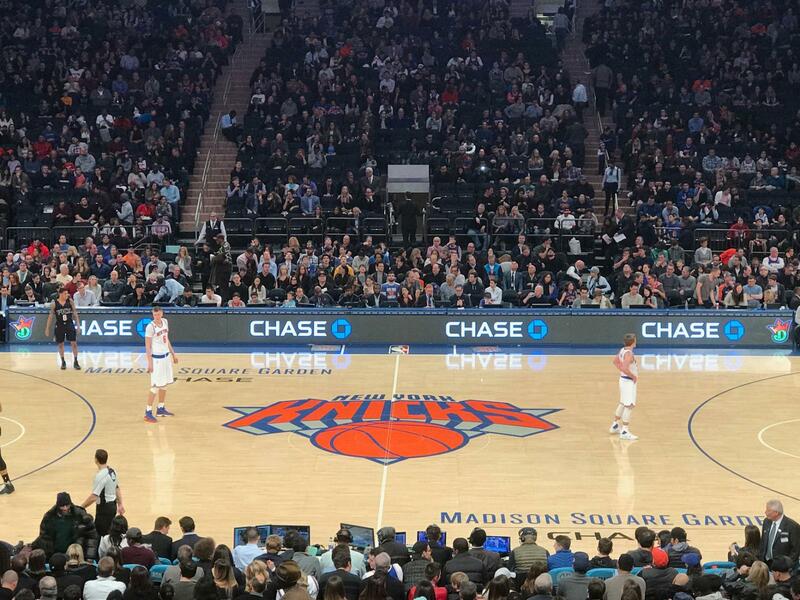 This will help you avoid long wait lines at the ticket counters and entry gates and you can also take a closer look at the famed arena, Madison Square Garden. The best seats are on the long sides of the ice rink, seats in sections 115 to 119 as well as 105 to 109. In these seats, you will be close to the action and can recognize players and see the puck. Tickets in these sections run approx. $150 to $250. 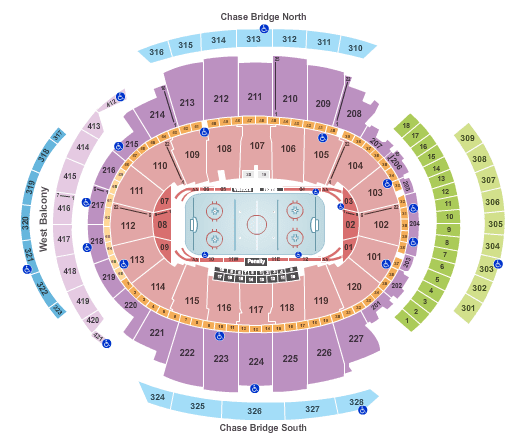 Tickets with the best cost/benefit ratio are those for seats in the 200’s – sections 222 to 226 as well as sections 209 to 213 on the opposite side. These seats provide you with excellent views. I personally do not care for the seats right behind the goals, but that is a matter of taste. One thing for sure: you’ll be part of the roaring crowd and the sensational atmosphere in the stadium can’t be beat! You will find the current New York Rangers game schedule on this page. Simply click on this link and select your favorite game! 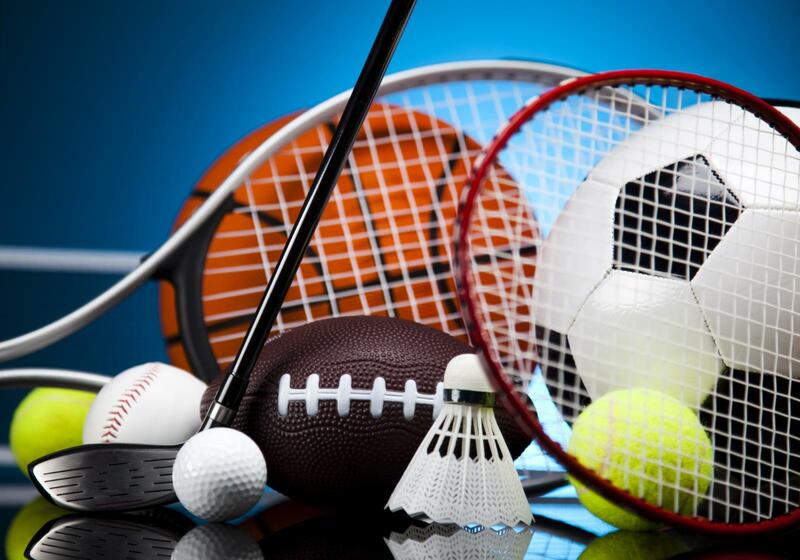 In the event the Rangers do not have a home game during your stay in New York, you can check if you may be able to see a home game of the New Jersey Devils or New York Islanders to get your ice hockey fix! The atmosphere during a New York Rangers game is incredible – loud, stirring, thrilling and every clever move is enthusiastically acknowledged. It is so overwhelming that it is hard to describe. You can tell that ice hockey in the US is not a fringe sport, but firmly embedded in the sports DNA of the nation! To give you a better idea about what is in store for you at a New York Rangers game, take a look at this video. Isn’t that something? 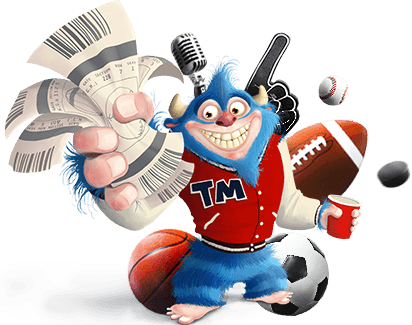 Buy New York Rangers tickets safely and quickly on this page. This is where season ticket holders sell tickets to the games they cannot attend themselves. The best seats for the money are in the 200’s sections. Get there 1 hour before start of the game. Destination: Madison Square Garden in Midtown Manhattan.